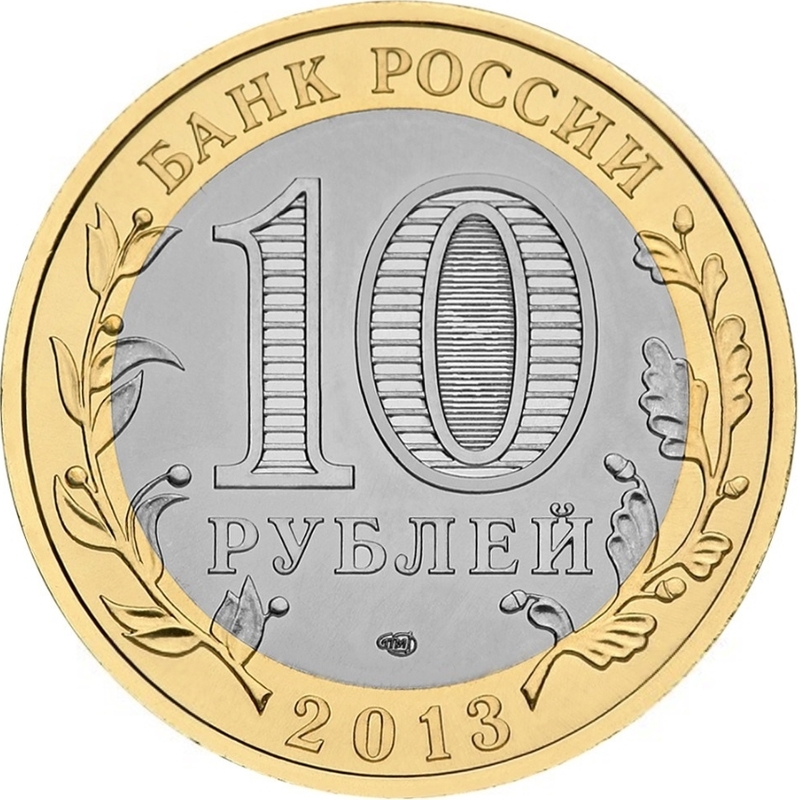 In the center of the disc - the indication of the face value of the coin "10 РУБЛЕЙ" (10 ROUBLES). Inside of the figure "0" - hidden pictures of the figure "10" and of the inscription "РУБ" visible by turns on changing angle of vision. In the lower part of the disc - the mint trade mark. 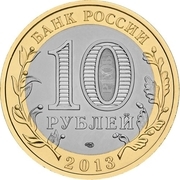 In the upper part of the ring - the inscription along the rim: "БАНК РОССИИ" (BANK OF RUSSIA), in the lower one - the year of issue "2013", to the left and to the right - stylized twigs of plants going over to the disc. The image of the coat of arms of Republic of Dagestan. 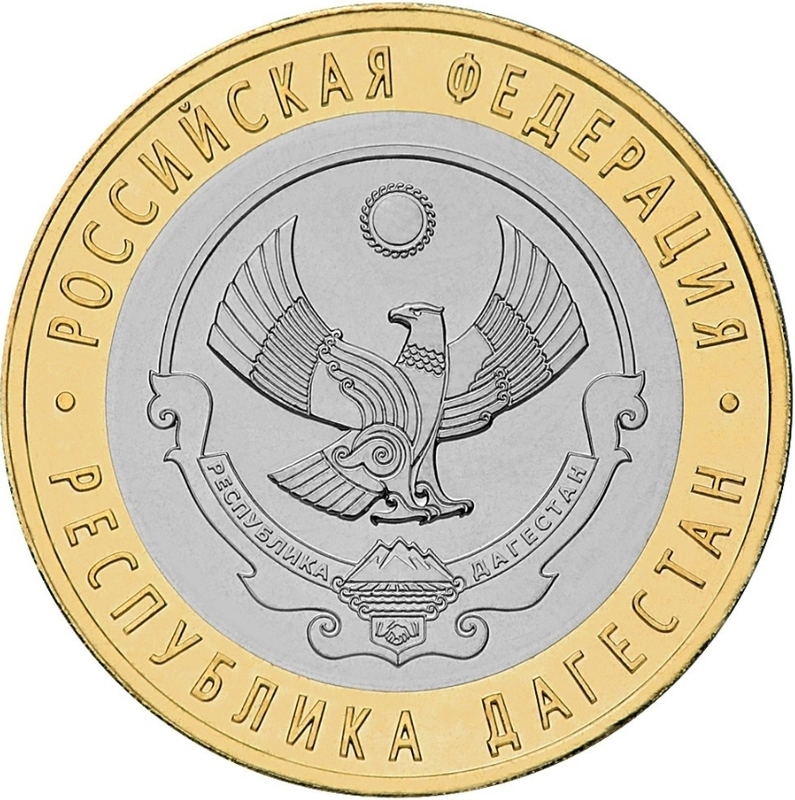 The inscriptions along the rim: above - "РОССИЙСКАЯ ФЕДЕРАЦИЯ" (THE RUSSIAN FEDERATION), below - "РЕСПУБЛИКА ДАГЕСТАН" (REPUBLIC OF DAGESTAN). 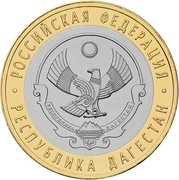 300 corrugations and the inscription "ДЕСЯТЬ РУБЛЕЙ" (TEN ROUBLES) recurring twice and divided by asterisks.